Walsall midfielder Joe Edwards has spoken ahead of this weekend's League One clash with Blackpool, and admitted that his goal against Rochdale last Saturday was a ‘massive’ moment for him and a real confidence booster heading into the final fifteen games of the season. The goal, which saw the Saddlers level the scores before ultimately slipping to defeat against Keith Hill's Dale, was 28-year-old Edwards' first goal since returning from injury and he believes that, following the end of the January transfer window, there is now real competition for places in the squad. With two players for each position, Edwards, who plays in one of the more congested positions in the squad, is hoping that it will give the players that extra bit of motivation in training and in matches to make sure they secure a spot in Dean Keates' matchday squad. 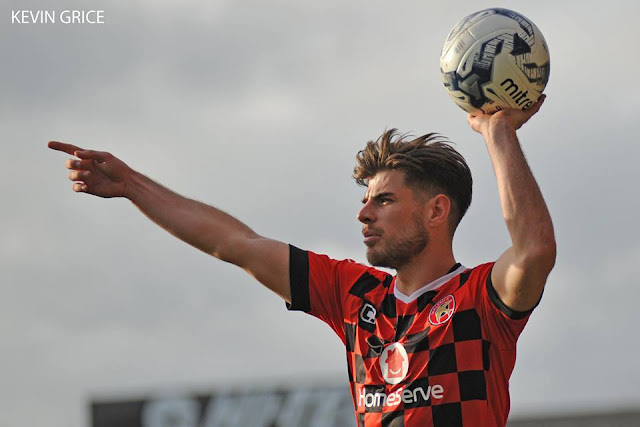 Speaking via the club's official website - Saddlers.co.uk - Joe said; "It was a good goal. It opened up for me a little bit. I managed to burst through and produce a finish. Being out for so long and getting my first goal back was massive for me. It was a real confidence boost for myself. "If I can add goals and performances that help us climb up the table - that's my main priority. There is real competition for places. I think there is two players for every position now. "And if that doesn't inspire you or give you the edge to do more in training and do more in games - you won't be in the team, simple as that. Some people may feel hard done by by not being in the squad this week - and rightly so but it's a squad game. "Players who aren't in the squad one week might start the next. It's how you train. Now there is competition for places that should give us an added incentive to get in the team."